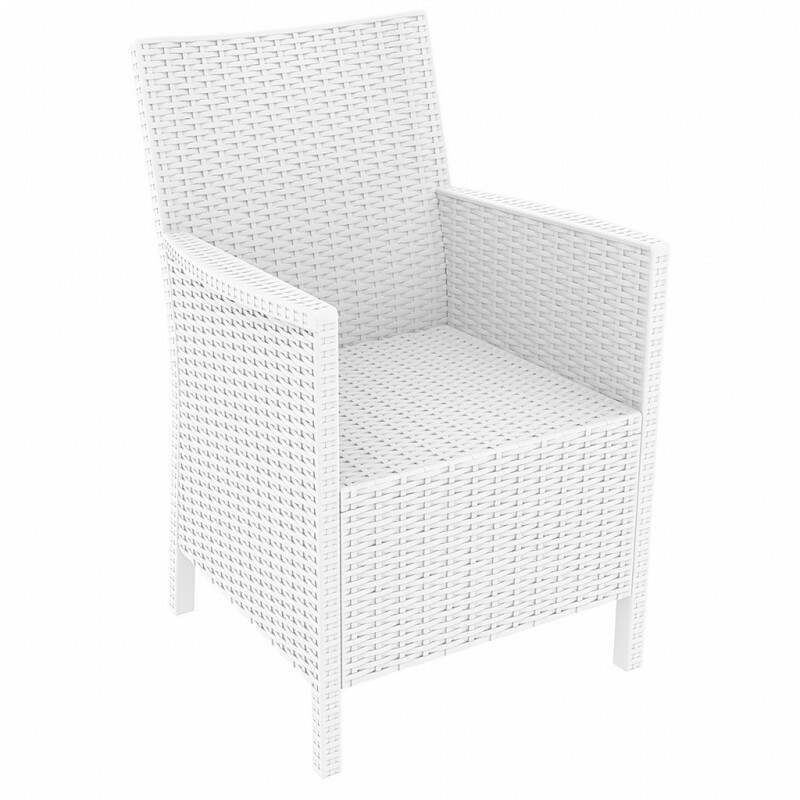 Dimensions: total height 90cm, seat height 42cm, width 59cm, depth 63cm, weight 10kg. Since ever, the care to the details in all articles Siesta Exclusive is excellent, in the Rattan line this important attention is even stronger. 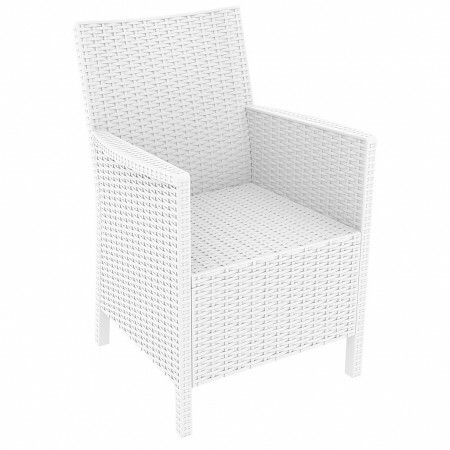 CALIFORNIA is an polyrattan armchair extremely elegant and characterized by high and comfortable backrest: the best solution to make exclusive your outdoor space and not only. CALIFORNIA is designed to ensure easy assembly (see video and assembly manual). Extremely robust armchair, designed for the contract market, where the use intense and continuing of the furnishings is frequent and where the robustness in the long time must be a guarantee. CALIFORNIA is made of durable polypropylene resin reinforced with glass fiber, without any metal part. Armchair equipped with treatment against atmospheric agents and UV rays.